HAMILTON, Ontario - March 18, 2016 - PRLog -- Nicholas Ginex provides a 2nd edition of Obama, Islam and Benghazi. It reveals President Obama deceived the American people in his run for the November 2012 presidential election. This deceit was supported by Hillary Clinton who did not respond to e-mails by Chris Stevens, U.S. Ambassador in Benghazi, Libya. The e-mails by Stevens to Clinton indicated as many as thirteen terror attacks prior to the Islamic terrorist attack on September 11, 2012. Clinton did not respond to the e-mails. Her failure to provide protection for the ambassador and Obama's authorization of a Stand-Down Order prevented U.S. military forces to backup personnel, which led to the loss of four American lives. Obama, Islam and Benghazi reveals why Islam is a threat to the world. 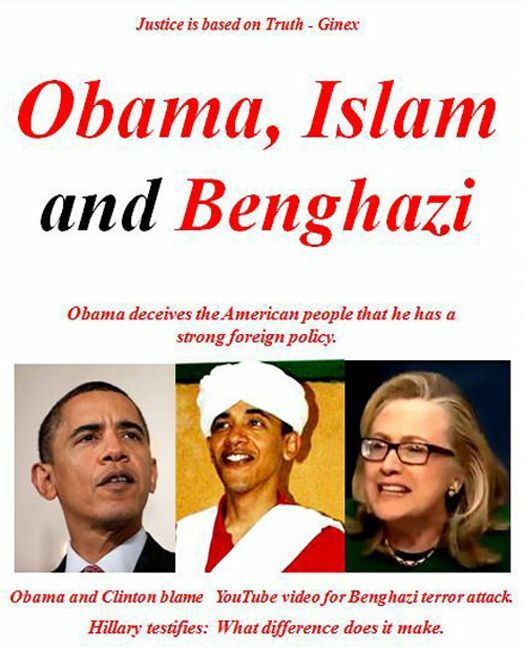 As the title infers, there is a connection between Obama, Islam and Benghazi. It provides ample evidence to inform Americans that Obama's early indoctrination in the Qur'an has developed an affinity for Islam and their people; why the Qur'an is the source of discontent in many countries around the world; and why the Obama foreign policy deception led to poor military action in Benghazi. The last chapter lists 36 questions provided to the Select Committee on Benghazi to reveal the truth for the families affected by the Benghazi attack. They are presented to validate whether the American people are justified to mistrust Obama and Clinton for their lies which led to the YouTube cover-up story. These are the words of a Muslim Leader not the President of the U. S.
Will justice prevail or will our Government representatives permit the Obama-Clinton deceptions to go unpunished? If not impeachment of the President, at least expose for the American people the deceptive lies by Barack Obama and Hillary Clinton. To read an Open Letter to Trey Gowdy, Chairman of the Committee on Benghazi, go to http://www.rel-mar.com/20160317 . Nicholas P. Ginex via: www.futureofgodamen.com. It provides book reviews and overviews of seven books.